If you don’t think that having a visually appealing smile has an impact on how people feel about themselves, all you need to do is watch TV for a bit. We are constantly bombarded with images of people with perfect teeth, despite the fact that this is the exception, not the norm. Many people take a hit to their self-confidence as a result of this, but that doesn’t mean that there aren’t ways to get around this potential issue. The cosmetic dentistry industry has grown by leaps and bounds over the last few years, and the good news for people interested in treatment is that it has also become more accessible. Here are some of the standout options to take a look at. This is the cheapest procedure on this list, which makes a lot of sense, considering the fact that it also probably is making the least amount of changes on anyone’s teeth. Whitening is done generally as a way to treat discoloration of teeth. It’s not always necessarily poor dental hygiene that leads to this after all, as health issues, smoking, and even certain reactions to medication can impact the color of your teeth. To get this new appearance, a dentist will start by taking impressions of your teeth to create customer plastic trays. These they need to be filled with a special solution and worn for a certain amount of time. This time will vary based on your teeth. Note that porcelain is only one of several options for materials that you have for veneers, but is also the most expensive, and with good reason. A customized set of porcelain veneers (made from a scan of your teeth) not only look great, but have the longest lifespan of any veneers, roughly 15 years. If you look for cheaper options, you will likely need to replace them sooner. One nice thing about veneers is that you can help them last longer simply by taking the time to regularly brush and floss. Dental crowns are an interesting mix of form and function. A lot of dentists put them on teeth when it is decayed or damaged above the gum line. Also called a cap, this replaces an entire section of the tooth in order to keep it from breaking or hold a weak tooth together. However, you can also use these to cover up teeth that are misshapen or have color issues. There are a lot of material options here, from metal to ceramic to resin. A potential alternative to dental crowns, bonding uses a combination of adhesives and a high-powered curing light to permanently attach dental materials to a broken or decayed tooth. While this is one of the most affordable options out there, you need to be careful, as these materials can be prone to chipping. Try to avoid chewing hard objects if possible. Bridges are a nice intermediate option for people who may be missing a few teeth, but don’t want to necessarily go all the way to use dentures just yet. This is generally done with a combination of crowns on the teeth on either side of the gap, then adding a false tooth or teeth in the middle. It’s important to mention that a bridge requires permanent modification of the teeth around it, so it can never be removed. Be sure that this is what you want before getting it done. Whether you have missing teeth, discolored teeth, or broken teeth, there are a variety of different options out there to restore your smile. The best thing you can do before getting on this path is having a proper sit down with your dentist to talk about your options. 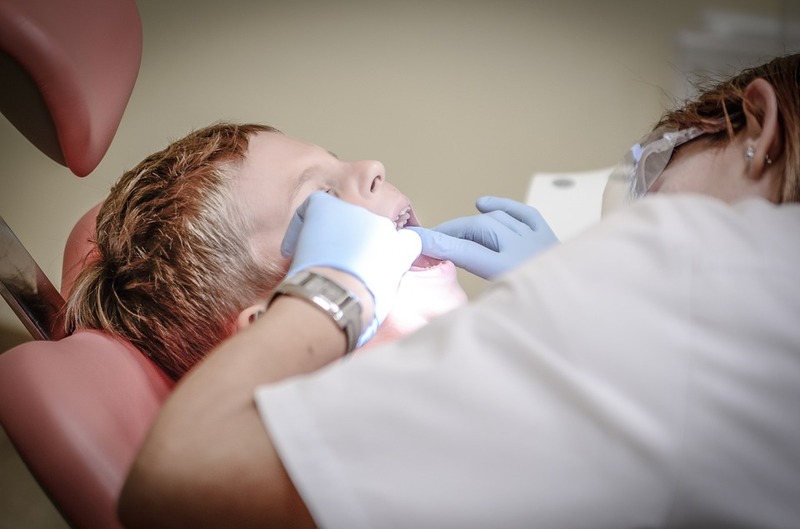 This is important not only to find your best options, but also to make sure you have realistic expectations about your new smile and how to take care of it best.